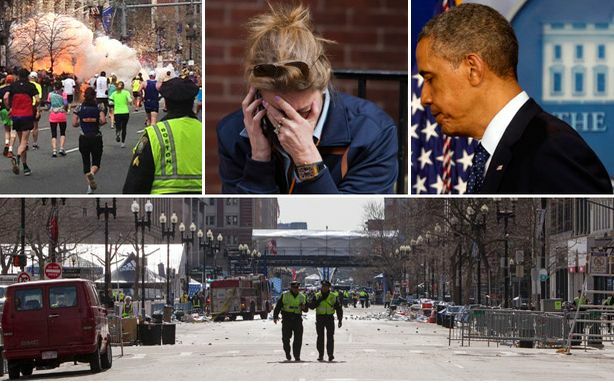 Multiple outlets, law enforcement officials, and President Obama responded throughout a manic Monday with news that a horrific looking scene made clear in downtown Boston, even as a frenzied search for more potential explosive devices continued and hospitals rushed to help survivors: The crowd at the finish line of the Boston Marathon was bombed twice in what is being described as both a coordinated "event" and "an act of terror" with more than 140 people brutally injured at eight Boston hospitals and at least three dead, including a young child. 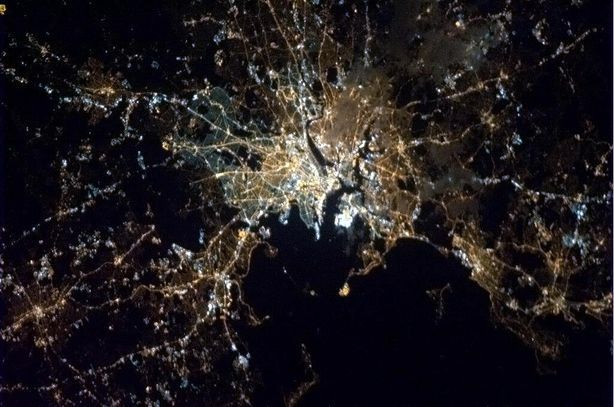 Indeed, even as a city and a nation came together amidst the chaotic scene, there was not much good news in Boston this April 15 — the annual Patriot Day, a Massachusetts festival holiday with schools and offices closed for the marathon and, on this particular day, tragedy in the happiest of places. The FBI has taken over "a potential terrorist investigation," FBI special agent in charge Richard DesLauriers said at a Monday evening press conference. "There is no suspect" at the hospital, Boston Police commissioner Ed Davis said at the briefing, despite reports to the contrary — and speculation that there was still one or multiple persons of interest being questioned at the hospital. When asked if there was a person of interest at the hospital, DeLaurio declined to comment; he also declined to comment on a Wall Street Journal report that there were five additional devices, which was soon clarified to note that "investigators now doubt the devices were bombs" — just one of many conflicting reports citing anonymous law enforcement officials as the investigation began. (And that's not counting the conspiracy theories.) After the death toll had stood at two for much of the day, Davis confirmed at the evening event that "at least three people have died" in the marathon bombing. Governor Deval Patrick said "we are asking that everyone be at a state of heightened vigilance" as Boston planned to re-open on Tuesday, though he said it "will not be business as usual." 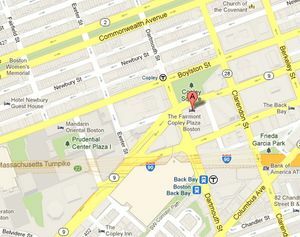 Boston police and the FBI were scheduled to hold another news conference at 9:30 a.m. Tuesday morning. At a late afternoon press conference with Patrick, Davis initially reported a third explosion at JFK Library in Boston, which has since been given the all-clear as a separate fire. At a second police briefing, Davis said "we have no suspect in custody," as CNN reported that the FBI had classified the event as a terrorist attack. Senate Intelligence Committee Chair Dianne Feinstein classified it as a "terrorist incident" that "could be be foreign, could be homegrown." We don't yet have all the answers ...We still do not know who did this or why... But make no mistake we will get to the bottom of this. We will find out who did this ... and any responsible groups will feel the full weight of justice. NBC News and others reported that the White House said the bombings would be "approached as an act of terror." 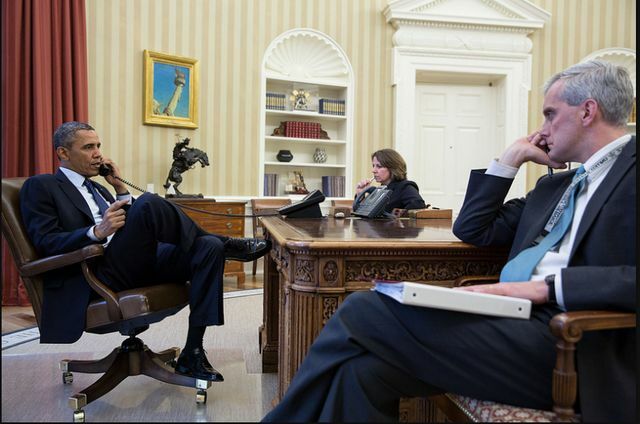 Both Obama and Vice President Joe Biden will meet with Secretary of Defense Chuck Hagel on Tuesday. As the investigation continues and news reports continue to make sense of the fallout, you can follow the Boston police scanner, the Boston Globe live blog, and the local CBS, ABC, and Fox stations — as well as some solid Twitter lists. The basic details of the bombings, however, are starting to come into focus. After two explosions hit at around 2:50 p.m. Boston Police would go on to confirm at least three dead — NBC News cited law enforcement officials as saying one was an eight-year-old child, a report confirmed by the Boston Globe — and 141 injuries. As for the two bombs that caused the carnage, it appears they were fairly unsophisticated devices, perhaps pipe bombs stuffed with ball bearings, which doctors later reported pulling out of victims' flesh. ABC News reported that the explosions were triggered by remote detonation, but there's still strikingly little known about the other specifics. Meanwhile, there were gruesome images and raw footage from Copley Square area to makeshift tents, from Boston hospitals to Instagram feeds, of lost limbs, hair on fire, children with severe burns, and worse. Scroll down for all the details on the victims, the persons of interest, the moment of horror, and eyewitness accounts. You can follow all of The Atlantic Wire's ongoing Boston Marathon bomb coverage right here — and our Day Two aftermath updates here. The Boston Marathon is tracking runners here, and for those looking for information on loved ones, here are the best ways online. Also, phone numbers: for families of victims, call 617-635-4500; for tips, call 1-800-494-TIPS. The Boston chapter of the American Red Cross said on Monday evening that there was no need for additional blood donations "at this time" as their shelves were full. The Red Cross also opened a disaster response center for the recovery effort. Reports of casualties are largely unconfirmed and varying, but here they are, updated in relative real time. An update at the official law enforcement press conference Monday night put the casualty count at 141 injured, at least 15 of them critically. CNN reported that at least ten limbs were lost due to the explosions and doctors were picking ball bearings, a common shrapnel generator in pipe bombs, out of victims. The New York Post reported 12 casualties, and is further reporting that authorities say a suspect in detention is a Saudi national—officials have not confirmed this and Boston PD has not confirmed this. CBS News is reporting that Boston PD has video of someone "bringing multiple backpacks to blast site." There are various reports on Twitter of a suspect being detained, but Davis, the police commissioner, maintainted taht "we have no suspect in custody," seeming to cast doubt on reports quoting a federal law enforcement official in the Post and elsewhere. 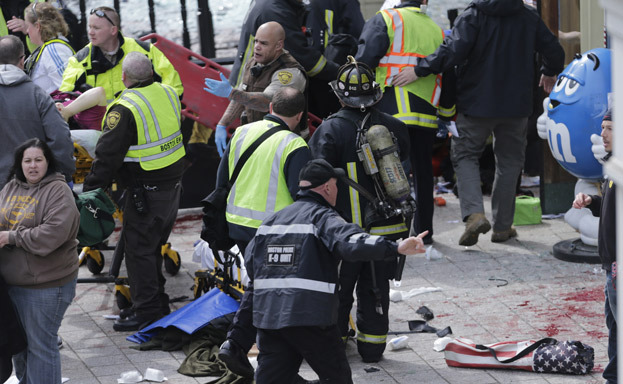 Among the reported 141 injured a nine-year-old girl, a seven-year-old boy, a 12-year-old, and a two-year-old, according to The Boston Globe. Of the three dead, one is reportedly an eight-year-old boy. For now, Boston Police say that there are no suspects, but when asked about scattered reports about a person of interest, officials — including the new FBI investigator — would not comment, though law enforcement officials maintain, however anonymously, that there are several active leads. Throughout the day and ahead of other media outlets, a law enforcement official kept telling the New York Post about a "Saudi national" as a potential suspect or person of interest, leading to many questions as well as similar reports from Fox News. Another report in the Los Angeles Times said one person — not a "suspect," but apparently a Saudi national — was being questioned. "A federal law enforcement officials said authorities were questioning a Saudi national who was taken to a Boston hospital with injuries," the report reads. "The person was not identified as a suspect." 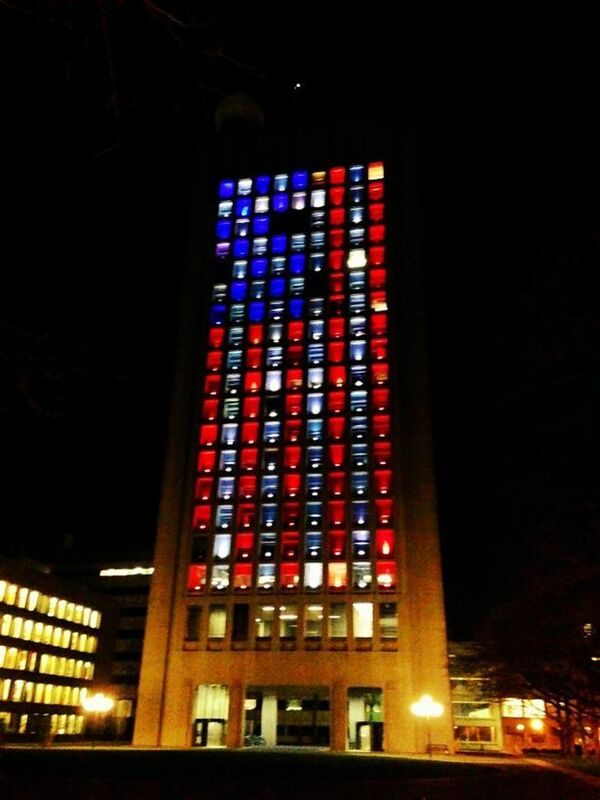 Later on Monday evening The Globe reported that authorities were "questioning person of interest in Marathon bombings at Brigham and Women's Hospital" but did not provide any details about the person's nationality. However, the paper maintains, "The situation remains fluid and it remains too early to establish the cause and motivation." Officials didn't offer much more clarity at the official press conference on Monday night and appear to be approaching the situation with caution. The New York Times reports, "Although investigators confirmed that they were speaking to a Saudi citizen, several law enforcement officials took pains to note that no one was being held in custody." Meanwhile, the FBI is asking for people to send in any info — photos, video, tips — or to call 1-800-CALL-FBI with information regarding the explosions. The investigation remains in the early stages, and the public is clearly pouncing on any sign of a lead. Reports of a police search at a Revere, Mass. condo complex between five and six on Monday night lit up Twitter. However, it's unclear if the search was related to a bombing or not. Soon after the initial explosions, Boston Globe photographer David L. Ryan reported that he heard but did not see a third explosion, and Boston police were scrambling to contain the scene. "There were two booms heard from near the finish line" reports the AP. A spokeswoman at the Fairmont Copley Plaza Hotel, close to the explosion, says that it was around two blocks away, while The Boston Globe said that police were conducting a "controlled explosion" on the 600 block of Boylston Street. Over the course of the afternoon and evening, police say they found five additional devices along the marathon route, though a police source later said it was unclear if they were actually bombs. That number does not include numerous reports of suspicious packages around Boston and neighboring cities. The Boston Globe reported another device found near Harvard, and there was a bomb threat phoned in near the Financial District. There were also reports of undetonated devices being found as far away as Newton, though local police have denied those claims. Again, the Journal walked back its initial claim of the five unexploded devices. And then there was the library fire, which had a whole back-and-forth narrative of its own. The FBI said on Monday evening that local police and federal agents would sweep the entire length of the course to look for evidence and additional devices. Meanwhile, the Navy has sent an Explosive Ordnance Disposal team to help with the effort. Check out this Tumblr post where you can see Tlumacki taking the photo. Here are more photos from The Atlantic's In Focus blog. And here's another angle with a second explosion in the distance. Here is text of President Obama's full remarks at the White House. Adding further heartbreak to utter tragedy, the 26th mile marker in this year's marathon was actually dedicated to the victims of Newtown. The size of the crowd has yielded countless eyewitness accounts of the horrific scene. One of the more powerful ones we've read comes from The New York Times, which spoke to Rhode Island state trooper and former Marine Roupen Bastajian. 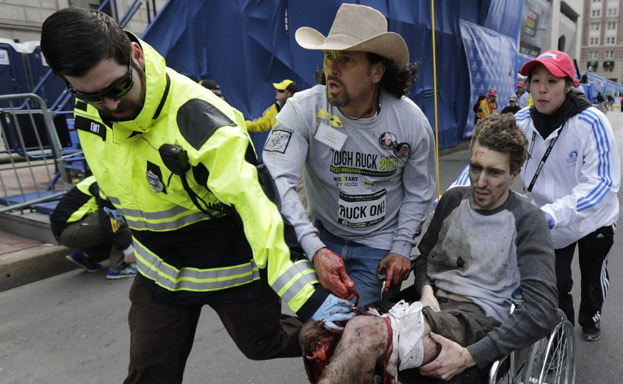 "These runners just finished and they don’t have legs now," said Bastajian. "So many of them. There are so many people without legs. It's all blood. There's blood everywhere. You got bones, fragments. It's disgusting." Several of those reporting on the explosions were actually runners in the marathon, so there is no shortage of eyewitness accounts. Two worth reading come from The Wall Street Journal reporter Coleen McCain Nelson and Boston Globe photographer John Tlumacki. Stay tuned for the Wire's Day Two live blog and more at our Boston Marathon hub. Want to add to this story? Let us know in comments or send an email to the authors at , aabadsantos at theatlantic dot com or matt dot sullivan at theatlantic dot com. You can share ideas for stories on the Open Wire. Have a story we missed? A link we have to click? A sharp opinion about the news? Instead of waiting for us to post it, tell us on the Open Wire. The Atlantic Wire is your authoritative guide to the news and ideas that matter most right now. Our team tracks newsmakers and opinions across the entire media spectrum: newspapers, web sites, television, radio and magazines. But we do more than just collect information. By synthesizing, analyzing and summarizing what’s out there, and adding new information when we can, we are a news engine that gives you a quick and valuable account of the issues of the day. Try our beta tablet app, optimized for iPad. Copyright © 2013 by The Atlantic Monthly Group. All rights reserved. CDN powered by Edgecast Networks. Insights powered by Parsely.